I’ve been happily married to Brenda for more than 35 years. We've made Garland our home for the past 33 years. In that time, we were blessed with two lovely daughters and two precious granddaughters. Back on September 16, 1990, I founded Springcreek Church. It has been the home for many who’ve been hurt and burned by other churches and those hungry for a fresh expression of God’s love. I truly love what I do as a pastor. Watching the transformation that happens in people’s lives once they realize just how much God is passionately and devotedly in love with them is one of the best things I get to experience from week to week. For many years, I’ve been an advocate for the world's poor including extensive work with World Vision (the world’s largest NGO working with orphaned and vulnerable children). As a member of World Vision’s Speaker’s Bureau, I’ve been privileged to travel throughout Latin America, Canada, Africa and the U.S. speaking to leaders about moving their church to the center of the transformation of society. I’m also honored to serve as Core Faculty for the Imani Bridges Institute. The Institute provides training in transformational development to pastors and Christian leaders throughout Nigeria. In 2014, I was awarded the prestigious Bridge Builder Award by the Garland NAACP for our work in partnership with other churches across ethnic and socioeconomic barriers. In January 2015, I wrote about my personal transformational journey in a book entitled, We Were Wrong (which is available through Amazon and has been translated into Spanish and Portuguese). My book talks about what I have learned at the feet of the poor and how God used it to move Springcreek from being an Imperial Church to a true Kingdom Church. 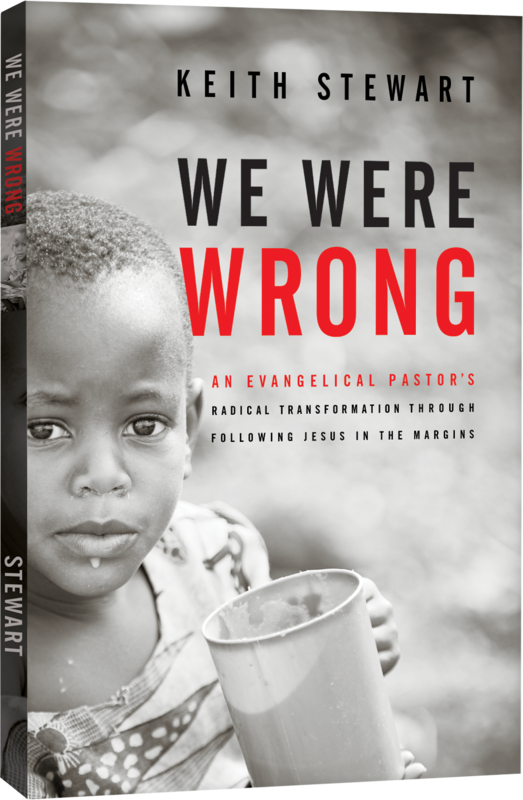 I’ve never personally profited from the book but chose instead to dedicate 100% of the profits to global missions.